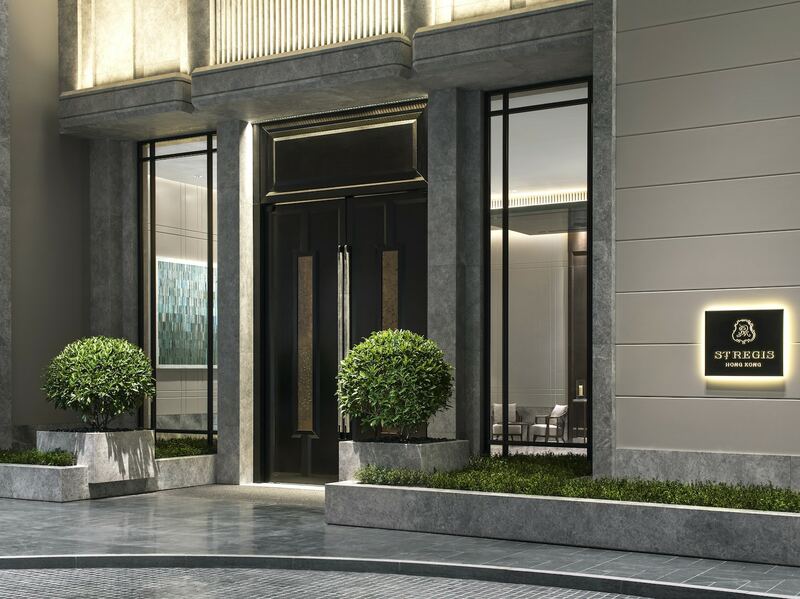 It seems inexplicable that, despite recent openings in nearby Zhuhai and Shenzhen, the St. Regis group has never fielded a proper standalone property here in Hong Kong. All of that’s about to change. 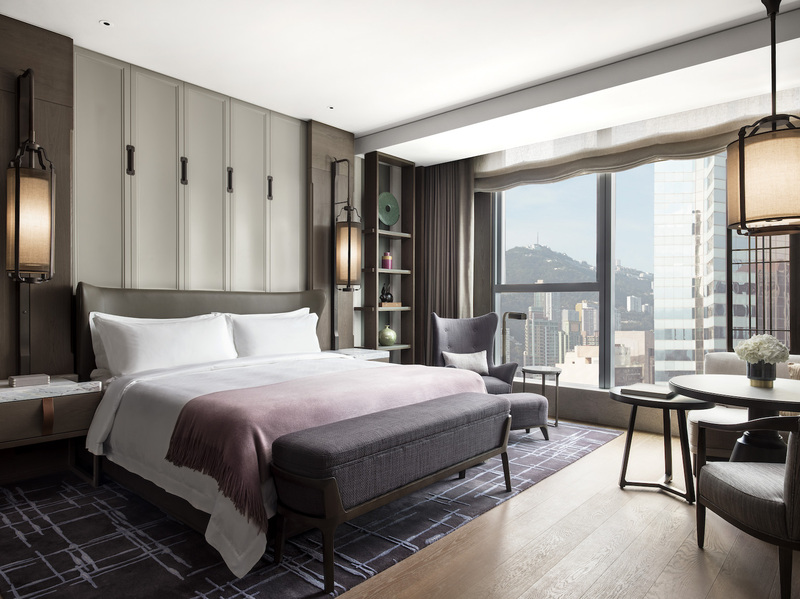 Last year, Marriott International announced it would be setting up operations in Wan Chai in 2019, and after a lengthy gestation period, The St. Regis Hong Kong is finally flinging its gilded doors open to the public this April. Seasoned travellers will doubtless expect they have a handle on what the newest “House of Astor” has to offer. To be sure, there’s the enviable Harbour Drive location, over 12,000 square feet of event space, and the St. Regis brand’s undying dedication to bespoke service. Once you get past those more mundane selling points, however, there’s an overwhelming sensation that this is unlike anything the brand has attempted in recent years. 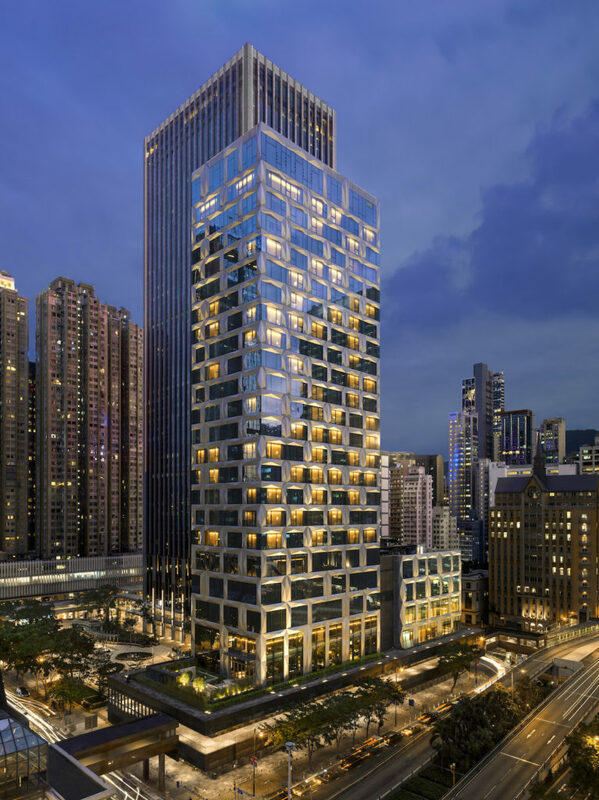 With the new Wan Chai property, their goal is to re-envision the St. Regis legacy for the 21st century, and in doing so, set a new benchmark for the group’s next generation of hotels and resorts globally. 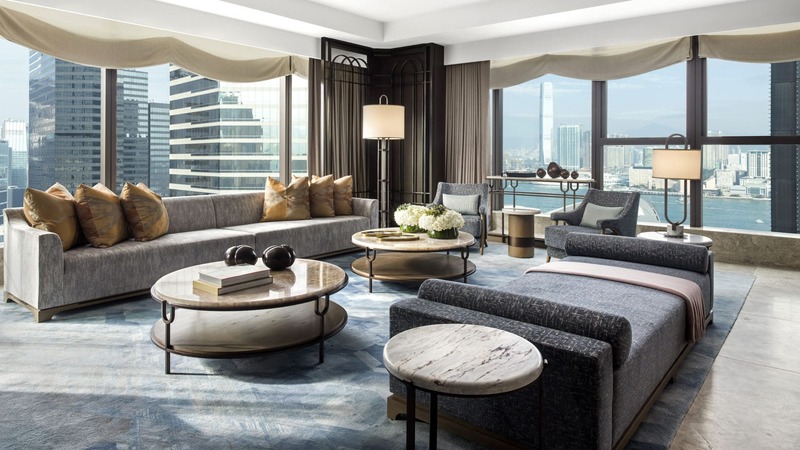 Boasting unparalleled waterfront views and a location that is 5 minutes’ walk from the HKCEC, The St. Regis Hong Kong is the eponymous brand’s 10th property in Greater China. 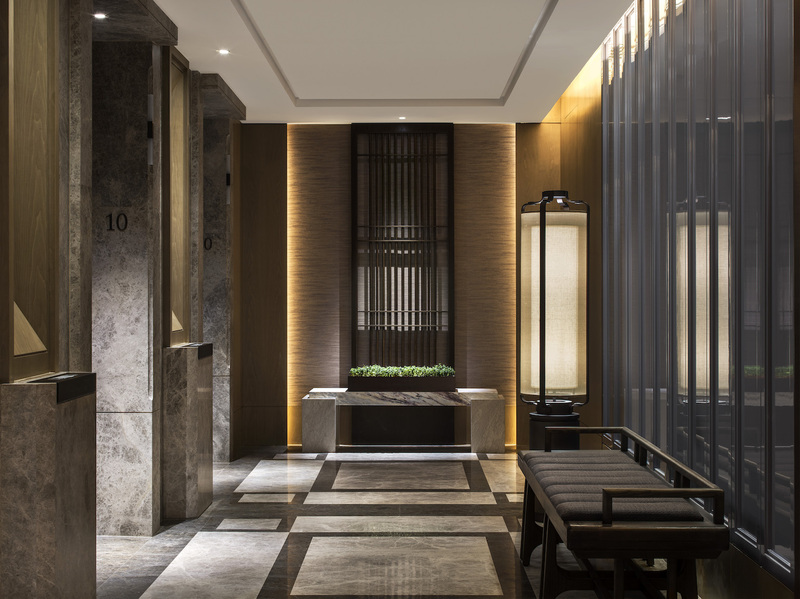 From the virtually tessellated exterior to its serene communal spaces, The St. Regis Hong Kong foregoes the shouty opulence of its Beaux-Arts ancestor in favour of an altogether calmer, contextually appropriate appearance. 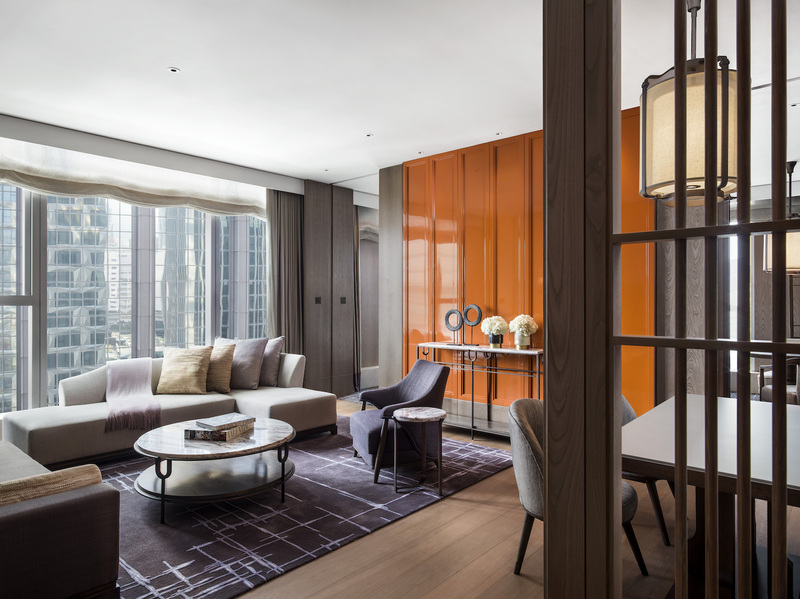 Award-winning architect André Fu — Hong Kong’s prodigal son when it comes to all things design — envisaged a property that marries the city’s rich cultural heritage with the lofty ambience of a Manhattan penthouse. His trademark design style — noted for its quiet, seamless, culturally peripatetic approach — heralds a fresh direction for the St. Regis group. Underrated touchstones from the Hong Kong of Fu’s youth (e.g. hardwood floors, tubular oil lamps) are re-crafted for a discerning contemporary audience, within an array of rooms that start at 538 square feet — some of the largest in the city. The hotel's landings and rooms evoke Fu's ongoing interest in rethinking our contemporary discourse around "luxury". Fixtures and furnishings often draw upon his childhood memories of the city - whether it be in the gossamer sheen of "oil lamp" lighting or divans crafted from inky zitan. At St. Regis properties around the world, good eating has always been a point of pride. The St. Regis Hong Kong looks set to uphold this tradition with F&B programming that embraces the “right” rather than “the many”. At L’Envol, Michelin-starred chef Olivier Elzer (of Seasons and Pierre fame) has been enlisted for his expertise in haute cuisine that blends classic French technique with Asian ingredients. Rùn, the hotel’s signature Chinese restaurant, dials into the many complex strains of Cantonese cooking, offering thoughtful takes — courtesy of chef Hung Chi Kwong — on classic staples. The Drawing Room — which conjures up images of Gilded Age doyenne Caroline Astor — is home to the extravagant St. Regis afternoon tea ritual; and rounding out these venues is The St. Regis Bar — a cocktail-focused lounge that bears the eponymous brand’s weighty reputation for humdinger tipples and late-night jazz. 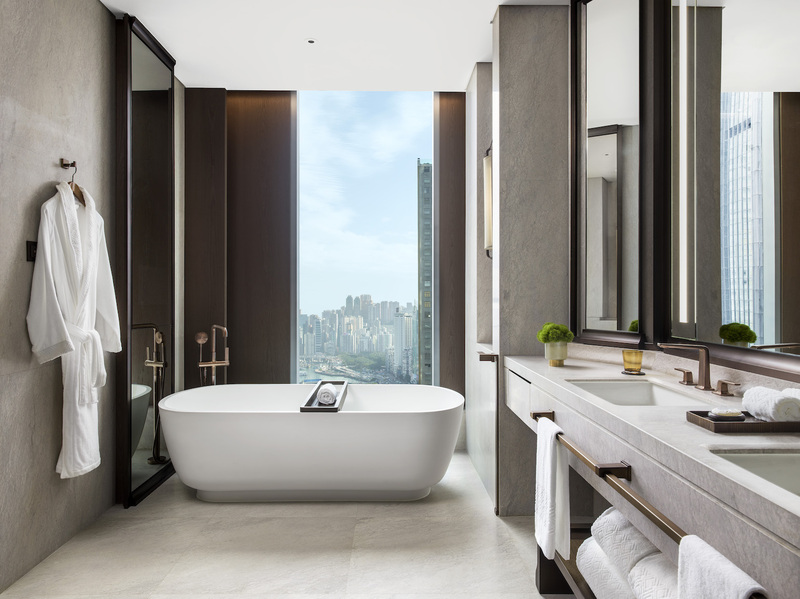 Unsurprisingly, St. Regis Hong Kong's deluxe and grand deluxe rooms are equipped with all of the brand's quintessential whistles. Bedding is sourced from Frette, work surfaces are carved from oak and the views - well, they speak for themselves. Despite being The St. Regis Hong Kong's "entry-level" category, the deluxe rooms offer some of the best in-class fixtures in the city. A contoured freestanding bathtub is the norm, supplemented by ample space for twin vanities and separate shower room. Measuring 1,011 square feet, the eponymous St. Regis suite offers a sumptuous take on contemporary hotel design. 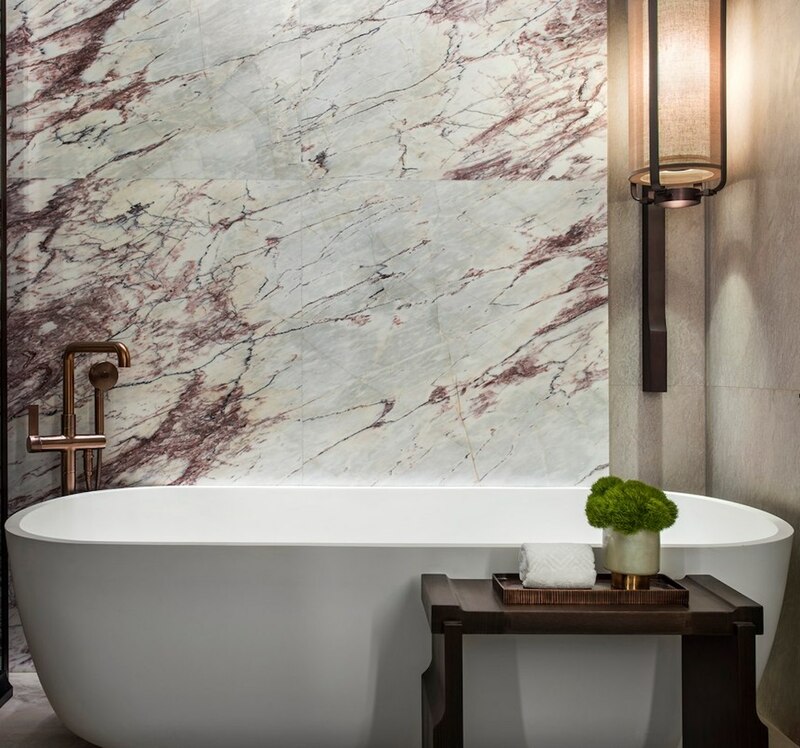 Bathrooms, as always, are a highlight of the new St. Regis. At a minimum, each comes equipped with double sinks, floor-to-ceiling windows and separate alcoves for bathing and showering. At 129 rooms, the hotel’s total occupancy registers as unusually boutique — prioritising space and comfort over maximum efficiency. These kinds of “hard resources” are only one area in which the St. Regis Hong Kong is pursuing an aggressive course of self-improvement. Even “signature rituals” — St. Regis’s vaunted in-house traditions, many of which extend back to the lifetime of founder John Jacob Astor IV — are not too sacred for scrutiny. The customary team of St. Regis butlers, usually limited to one per floor, is being broadened to an ambitious one per room; whereas the evening ritual — traditionally consisting of champagne service at sunset — is being rethought for hotel goers of the 21st century. It’s an extremely ballsy move: to tweak or deconstruct, as the case may be, the culture of a brand so inextricably tied to a certain idea of “luxury” in the public imagination. But to create “the finest hotel in the world”? Well, sometimes you have to break with tradition.